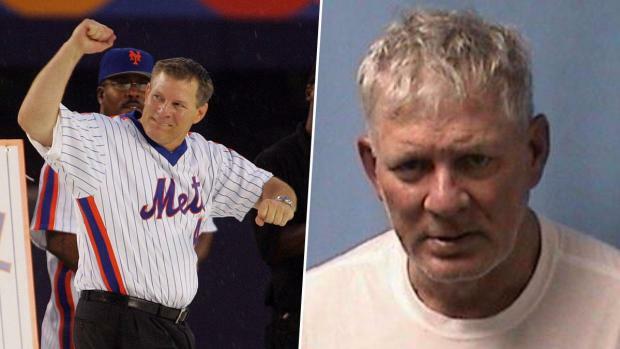 Police on Wednesday released footage from the arrest of Mets great Lenny Dykstra. Ida Siegal reports. 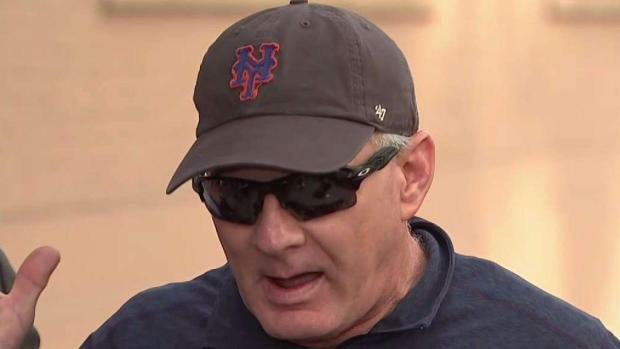 Newly released police body cam footage of former Mets player Lenny Dykstra's arrest last month during a dispute with an Uber driver in New Jersey shows both men were on edge. 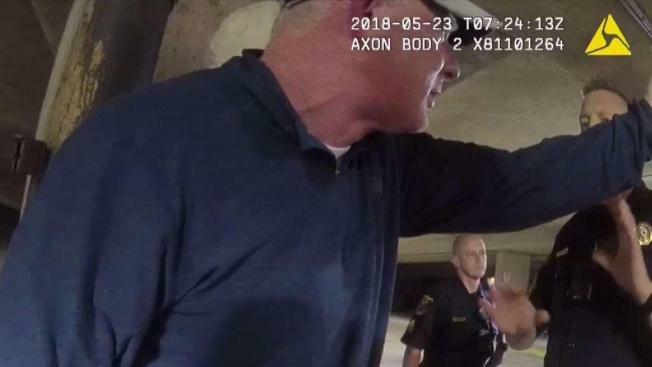 Dykstra was arrested in late May after authorities said an Uber driver told them the three-time All Star put a gun to his head when the driver declined his request to go somewhere other than his original destination. The driver, who told of an expletive-laden tirade that involved threats to "blow off" his head, stopped outside police headquarters in Linden, New Jersey, and ran out of the car. Police body cam footage shows the driver telling officers, "As I was driving, he pulled a bag out of a black case in the back seat, told me he was gonna shoot me and put it to the back of my head. So I hit the brakes, he flew forward and I pulled into you guys. He kept dialing 911, telling everybody I was kidnapping him." But Dykstra is heard telling a different version to police -- that the driver locked the doors and tried to kidnap him. "He's driving over 100 miles an hour, I said, 'Pull over, let me out of this car,'" Dykstra told police. "He almost killed me driving." The driver countered, "He took this bag right here, and it sounded like it had medication and stuff in it, too, when he put it to the back of my neck." "He's in fear of me?" said Dykstra. "I'm in fear of him. Dude, the guy's nuts." Dykstra, 55, was taken into custody at the scene. Police said they found cocaine, MDMA and marijuana among his belongings but didn't find a weapon. Dykstra, perhaps now best known for a series of bizarre and troubled incidents over the years, addressed the arrest at a news briefing last Friday, saying he was the one in fear for his life. Dykstra has filed a complaint against the driver for unlawful imprisonment, but so far the police have not charged the driver with a crime.